Every day with your loved ones is a gift, so you shouldn’t take a single moment for granted. Think about how much life you’ve lived, and how much you don’t speak about until you get together with old friends and relatives and take a jog down memory lane. Now imagine how many stories your dad has to tell. Perhaps he served in the military during war, maybe he grew up in a different part of the country during an uncanny era, or maybe he’s just lived some life that you’d like to know more about. 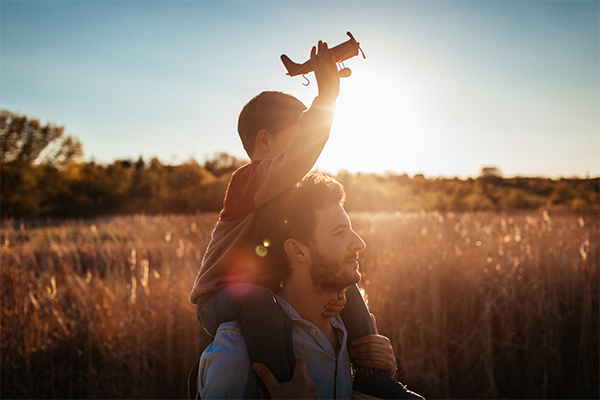 If you’re thinking about getting to know your father more, start with a few questions that will create a connection and help you appreciate him more as a person. 1. When did you first fall in love? This allows you to learn your dad’s thoughts on love in general, rather than just framing it through the lens of your mother. It will tell you a lot about his thought process and how he frames the world. You’ll likely hear his tale of crushes, mistakes and heartbreak, which will inform a lot about how he came to become a man. 2. What do you remember about movies and music growing up? It’s one thing to Wikipedia classic movie release dates and another to talk to someone who lived through it. You’ll learn a lot about how a hit shook an era and how popular culture resonated when your dad grew up. 3. Where were you when you learned about world changing events? Your dad lived through life changing events, such as the assassination of Martin Luther King and John F. Kennedy, and the first moon landing. Hearing a first person account will make you appreciate life as a whole and realize how much time flies. It would surprise you how sharp a person’s memory remains over the years. Knowing your dad’s earliest memory humanizes him and helps you to imagine him as a young boy. 5. How did you feel when you knew mom was pregnant? Learning that you’re about to become a father is life changing. Ask him about this to see how he framed it and how he prepared himself for this moment in his life. A lot of dads put on a good face for the family, when on the inside they’re dealing with their own fear, doubt and insecurity. Finding out how your dad processed this life change can show you a great deal of insight. 6. What are some of your biggest regrets? We all have things we wish we could take back. It’s not about having regret, it’s how you move past them. Learning your father’s regrets and how he dealt with them can be an incredible way to gain perspective. 7. Have you ever gotten fired? Losing a job is a time of adversity that truly tests your character. It’s also something that most people go through at least once. This is an excellent way to get a picture of the things your father finds the most important. Bonus points if you’re able to help him live out this day. 9. What made you want to get married? Getting married is common, but learning why your father got married helps put you in his shoes as a young man. He’ll most likely have some great stories that you’d never find out unless you ask. 10. What is your biggest hope and wish for my life? Finally, this question can give you some insight on your father’s greatest wishes for you. It’s possible that you’ll come away with some life changing gems that put the true meaning of life into perspective. Take some time to contemplate these questions and have an honest sit-down with your father. Asking these questions will be impactful for both of you.